It might not have the glamour of some more mainstream bikes but Royal Enfield has revealed its latest motorcycle for the first time at the NEC show. The Royal Enfield Electra Woodsman is a new variation on the firm’s mainstay Royal Enfield Bullet model, which is the world’s longest-lived production motorcycle – with continuous production since 1949! The Woodsman was inspired by classic street scramblers, and gains a high-level exhaust and single seat. Although there’s virtually nothing in the way of bodywork, what panels the motorcycle has have been restyled to complete the new look. 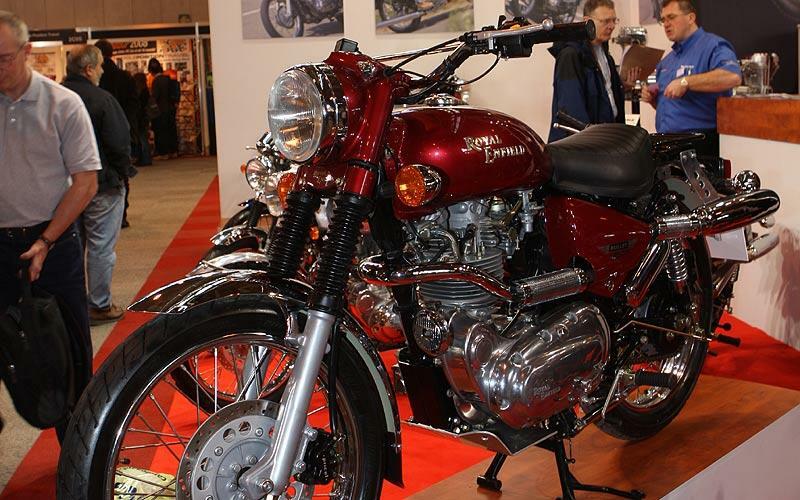 Looking to buy a Royal Enfield? With 27.5bhp from its all-alloy 499cc pushrod single, the bike’s no powerhouse, but Royal Enfield claims 87mpg, giving a 250-mile tank range, and a weight of just 167kg. And if you want a new bike with classic looks, there are few cheaper ways to achieve that goal – with a price of just £3895 the Woodsman is a bargain.